I hope you’ll continue to feel better through the weekend! Dear Meg, happy thanksgiving to you and your family. I love your post. It is so important to be thankful to what we have in our lives. Much appreciated, Rupali — and yes, when we take the time to look around us, there are always more good things to be found. Thank you — enjoy your day also! A perfect Nurturing for this week of thankfulness. Gratitude and gratefulness is sometimes forgotten leaving us feeling empty. Remembering how fortunate we are puts everything into perspective and gives us renewed hope. 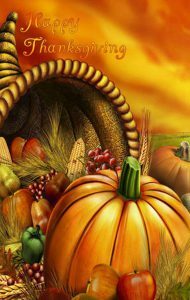 Happy Blessed Thanksgiving, Meg, to you and your family. Many thanks, Isadora, and I hope you are having a lovely weekend too! Thanksgiving gives each of us time to pause in order to reflect on our moments of blessings as well as reflect on our past and current lessons — which no matter the outcome is worth being thankful!! Hope you had a good one! Thank you for sharing with Nurturing Thursday, and being part of the Nurturing Thursday community.